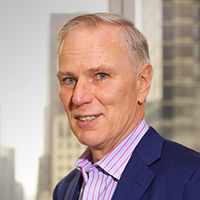 Philip Alston is John Norton Pomeroy Professor of Law at New York University. He is currently UN Special Rapporteur on extreme poverty and human rights. In 2014 he was a member of the Security Council-established commission of inquiry on the Central African Republic. He previously served as Special Rapporteur on extrajudicial executions (2004–10), as well as Chairperson of the UN Committee on Economic, Social and Cultural Rights (1991–98). During the drafting of the Convention on the Rights of the Child, he was UNICEF’s Legal Adviser.